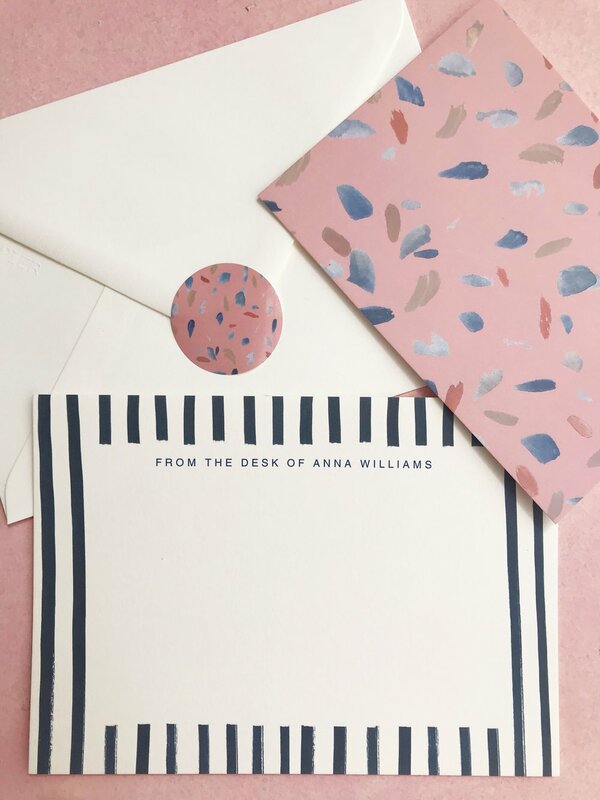 Read on if you’re a stationary addict because I have a few oh so LOVELY pieces from the stylish personalised stationary brand Papier to share with you. A slight deviation from the interiors world but I look at accessories like this as just another style outlet….and ones that will look fabulous lying around in your home. I'm literally not joking when I say I’ve been a mega fan of Papier pretty much since day one. 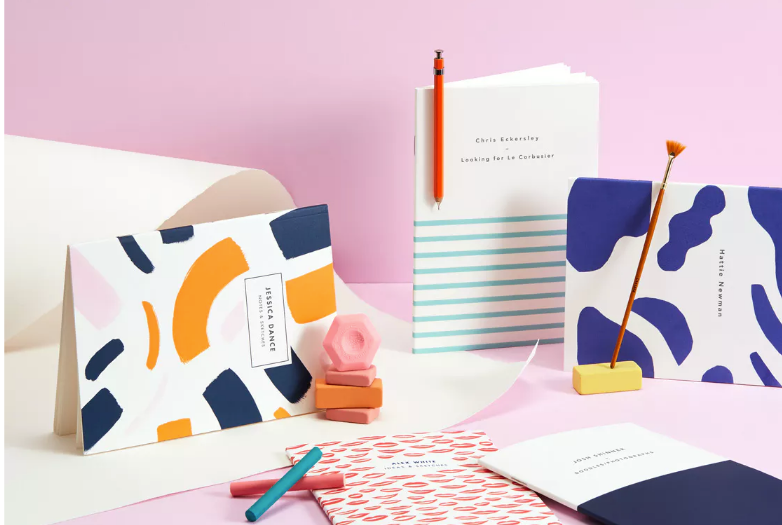 And particularly ever since mega dude Luke Edward Hall joined the growing list of cool artists and illustrators to design for their collections (which include lovely notepads, stationary sets, cards and invitations), the latest being a collaboration with Henry Holland. I’m also entering into a phase of rebelling against my terrible habit of sending important thanks to friends via text and email….ewwwww….and instead taking pen to paper and sending little thank you notes in the post which is far more special. It’s just finding something nice enough to write on which has been the challenge….until now. When Papier got in touch about a collaboration, I literally jumped at the chance and I thought I would run through the pieces they’ve very kindly sent. First off, I always have a million ideas, images and words that suddenly appear in my head but all too often get forgotten five minutes later. The iPhone takes care of the pictures I want to save but for brain waves, lightbulb moments and general thoughts and musings that might come in handy at a later date, I have gotten into the habit of writing them down in my aptly titled “Anna’s Notes & Musings” book. 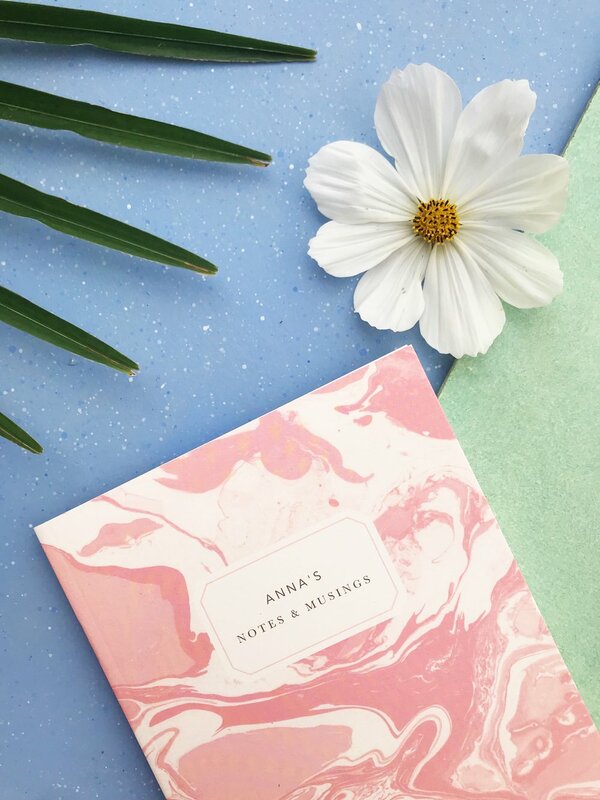 I chose the gorgeous marble effect plain notebook from the MARBLE collection which is just so pretty! This was the best thing I took on a recent trip to Spain, my beautiful notebook dedicated to watercolour doodling and pattern experimenting. I did a little pattern each day and now have a lovely record of the week in the form of this special book. I picked this very simple pink and white design which is from the DEMI collection. Always a good one to have in the artists repetoir of tools, a little sketchbook for anything I need to well, sketch or scribble….this came in particularly handy for a recent colour mood board I did for a client and had to craft out a room layout! This is the pretty HOWIE collection featuring these cute pineapple motifs! Ah now this is a little gem of a stationary item. I asked Papier to send me a book titled “Book of Contacts” and it has so far come in ridiculously handy. I save many an instagram picture in my Instagram collections but often forget all about them and they disappear into a digital abyss along with my 15,000 photos on the camera roll! I had the idea to create an actual hand written log of contacts, potential brands I want to work with and the details of people I meet at events and meetings etc. I have them organised in different categories and can effortlessly flick through and find who I’m looking for. OK this is a big one. I’ve often received handwritten notecards which have been personalised with the name of the sender and been so envious of people who actually get around to organising this sort of stuff. I’ve been meaning to find the perfect family stationary for AGES and so I was absolutely delighted with this pretty and sophisticated design from the FRIEZE collection. I am also equally chuffed to have some pretty notecards to send out to customers after they’ve placed an order and the BRETON design works perfectly with my branded House Anna stickers and postcards….I can also send these out by themselves to business contacts which is super handy as a more relaxed alternative to headed paper. YAY! I hope you love these pieces as much as I do and this has in some way inspired you to take up using paper products as an alternative to our digital devises. Papier very kindly gifted these to me and I have been more than happy to shout from the rooftops about how amazing their designs are…the quality is also superb and most importantly all of their products are made from Mohawk paper which is made with non-polluting and wind generated energy. For the full Papier collection head HERE and have a read of their accompanying journal, The Fold HERE.